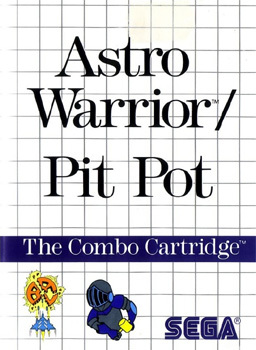 Only the PAL version exists. There is a German variant that appears to be slightly more common, but general not much rarer than the typical PAL version. "Two super hits in one! 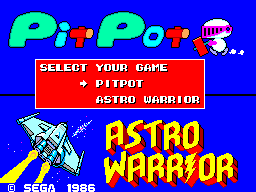 Turn back the invaders and save the galaxy in ASTRO WARRIOR. 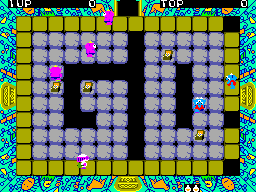 Can you find your ways safely through the magical mazes in PIT POT?"